Essex-based Youngman are experts in low-level access solutions. A modern alternative to traditional ladders and steps, the BoSS range of push-around micro lifts are designed to provide a higher level of safety, whilst remaining easy to transport and operate. High quality, and lightweight, these lifts are ideal for working on fragile floors, and in confined spaces. 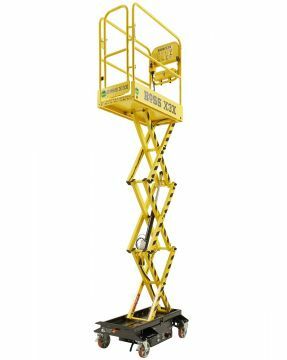 The BoSS range of self-propelled micro scissor lifts are highly-regarded, due to their compact dimensions, simplicity to operate, and abilities to reach heights of up to 5.1m. The BoSS X-Series scissor lifts are ideal for working in tight, hard to manoeuvre areas, and are battery operated to ensure quiet, emission free operation, ideal for indoor applications.